One of the top rated vacuum cleaners chose by Reviews Bee is the Dyson DC65 Animal vacuum cleaner, because our algorithm rated it the highest while taking expert opinions, expert popularity score consumer reviews, and buyer complaints into account. With a score of 8, Dyson DC65 Animal vacuum cleaner performed higher than most of the vacuum cleaners in our top ten recommended vacuum cleaners. Dyson’s DC65 Animal vacuum cleaner is a lightweight upright ball vacuum that has a radial root cyclone technology to increase suction power. It has motorized brush which is designed for removing pet hair without being tangled. It is built for delicate rugs and hard floors. 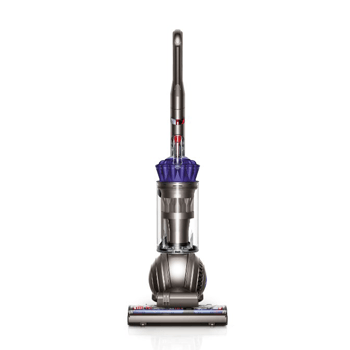 The Dyson upright vacuum has a cleaner head which adjusts by itself and gives more suction power. The vacuum has a warranty of 5 years. The Dyson DC65 has been approved by the Asthma and Allergy Foundation of America which makes it safe for people with asthma or allergies. 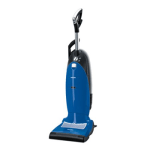 It has HEPA filtration, which prevents dust and dirt, do not pollute the room while vacuuming. It is a hygienic machine and quick to empty, because you just need to press the button to avoid contact with the dirt. The power cord of Dyson DC65 Animal is 35 foot long. The plus side of the vacuum which makes it very durable is that the filters do not get clogged and they last for life. Experts recommend Dyson DC65 animal as a dependable vacuum cleaner, because it is made of polycarbonate, which is the same material used for riot shields. The new turbine tool has counter-rotating wheels designed in it to prevent pet hair from tangling the brushes which is brilliant. The vacuum has telescope wand and hose which gives a long reach in order to clean stairs, walls, drapes, and ceilings. 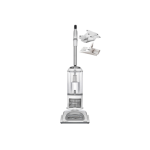 The Dyson DC65 Animal vacuum is built heavy and customers receive accessories with the vacuum cleaner. Great features about the Dyson DC65 Animal vacuum is that it has turbine tool which removes pet hair, dirt, and dust from smaller areas inaccessible from the vacuum. The other great feature is that it is designed with the Dyson Radial Root Cyclone technology, plus it has the HEPA Filter which captures microscopic pollen, mold, and bacteria so that you do not get to breathe in your carpet dust. The expert popularity score is 5. For a number of reasons experts rate the Dyson DC65 Animal really good for many reasons. 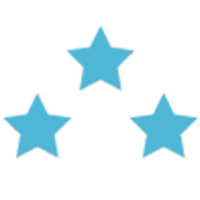 Reviews Bee managed to compile expert ratings from various websites in order to give the consumers with a complete rating available on vacuum cleaners. The expert rate component of the Reviews Bee Score for the Dyson DC65 Animal upright vacuum cleaner is 6.4, thus it ranked in the middle in our Top 10 favorite vacuum cleaners. According to Dyson vacuum cleaners reviews, it is one of the favorite vacuum cleaners among the experts, because Dyson DC65 Animal vacuum cleaner is certified approved from the Asthma and Allergy Foundation of America, which makes it really safe for use. More key technologies are retained inside the ball of the vacuum, reducing components on the outside of the machine which makes it really compact. Dyson DC65 Animal has an active base plate which adjusts itself to create ideal contact with every surface type it touches. Every website on the web has consumer star ratings with each review, which makes it easier for a consumer to decide which product is good and which is bad by just looking at the stars. Reviews Bee has averaged these star ratings to calculate consumer ratings of the overall Reviews Bee score. After reviewing many Dyson vacuum cleaner reviews from many different trustworthy and authentic sites, we placed Dyson DC65 Animal Vacuum cleaner at the very top of the top ten vacuums, because it gained 9.9 scores in consumer ratings. 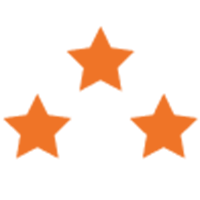 Reviews of consumers are more opinion based and have a wide range of opinions in them compared to expert reviews, since consumer reviews are biased and are an opinion of an individual’s experience which is limited to a single experience of a vacuum. A single person views his experience with one event and puts a verdict, while, on the other hand, the experts carefully compare and contrast features, costs durability and services. Reviews Bee looks beyond the star ratings of the consumer reviews and studies deeper to come up with the Consumer Popularity Score. To calculate the consumer popularity score we manage to read each consumer review that we find and look at the current trends and experiences, that are shared, that are found in the consumer comments. In this category, Dyson DC65 Animal upright vacuum ranked in the middle and gain 3 scores among the top 10 vacuum cleaners. According to Dyson animal reviews, consumers were satisfied that assemble is not difficult and does not take that long. The installation and double suction power is praised by consumers. Dyson DC65 Animal has an active base plate which adjusts on its own to create ideal contact with every kind of surface. It is an extremely light weighted vacuum cleaner, which has a long cord and a long hose, that are convenient while vacuuming by consumers. Consumers complained that the Dyson DC65 Animal upright vacuum cleaner does not hold all the attachments that come with it. 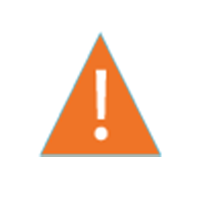 Some complaint dealt with the attachments and said that the two large attachments were a problem, because they cannot be stored in the vacuum. 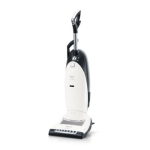 For most customers the Dyson DC65 Anima upright vacuum cleaner is too expensive. The power/hardwood floor button is a problem for some users and they wished it was higher up on the handle. Some consumers complained that the attachment is hard to use, because the cord comes in the way due to the fact that the top cord hook is attached to the hose. There were complaints about the ball being large, which made a hindrance get under furniture. The maneuverability is a problem, since the vacuum cleaner is hard to turn around with ease. According to a Dyson vacuum review, a customer complained that the Dyson DC65 is not designed well. The Dyson DC65 Animal upright vacuum cleaner is a powerful vacuum, which is designed for different surface cleaning. Since it is designed with the Radial Root Cyclone technology and has a reconfigured brush bar, it removes more dirt and dust. Dyson vacuum cleaners are designed with the brush bars bristles that are shorter and stiffer which allow it to clean the carpets deep in order to remove more dirt and it performs great on hard surfaces as well.